I’m not sure about you, but something about the quarter-way mark of 2014 seemed to cause a few freelancers – myself included – to pause, reassess and aim a little higher for 2014. Taking on more work is always exciting but I always consider the potential impact to my work quality and more importantly, my family. The privilege of working from home with three boys in primary school isn’t something I take for granted, but also requires lots of planning, discipline and a little reminder to myself to make sure I get some time out too! As I was sharing with a friend the other day, being a working parent means that you are reassessing your workload and family life on an almost daily basis. So now that we’re in April, I’m embracing a few new projects with all of the gusto Autumn brings, enthusiastically…but carefully. If you are heading to SupaNova in Melbourne this weekend you can pick up your own hot little copy for $5, stock permitting, or you can place an order now for AUD $5. 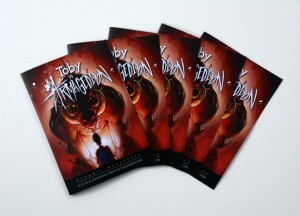 The eight page PDF will also be available soon for $2.70 and posters of the cover are also available for $29.97. For now, simply order using this form or email me at jasmin@wonderwebby.com for details. It’s perfect for anyone who’s had to “ignore the haters” and get on with life. 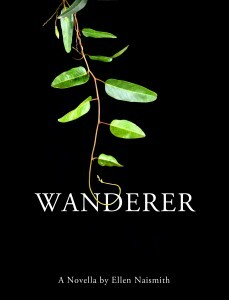 El Naismith aka L’il El’s novella Wanderer is also still available for free download. I know she’s a client and a friend, but it really has been my favourite book in the last six months. It’s a wonderful short read for anyone who likes smart, well-crafted fiction. High above the valley and far from her advertising career, Fran stretches out her legs at home after another frenetic work trip. However what started as a twinge below her knee the day before has emerged as something strange and terrifying. “You had me really wanting to find out what happened! I sensed a lot of personal experience through the story which enriched it and made it feel all the more real and the characters all the more convincing. It felt like they could have been a couple anyone might know and relate to. If you would like a free copy of this PDF please leave your details here or email jasmin@wonderwebby.com. As much as I get a kick out of helping new clients or creating a sell-out event, the small accomplishments matter just as much to me. The small (but sometimes daunting!) feat of producing a healthy meal for my family, taking time to read with my kids or picking some flowers from the garden matters just as much, if not more to me. The last few weeks my nine year old has been obsessed with baking, so we have been whipping up some treats. I call it “bake and hope” most of the time, as we often make up or adapt recipes and I am trying to teach him about instinct as much as technique. 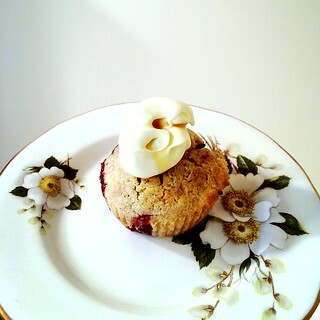 We made up a sour cherry muffin recipe and compared zucchini brownies with a packet mix. I also started school holidays with the boys on a short trip to Adelaide to visit family. 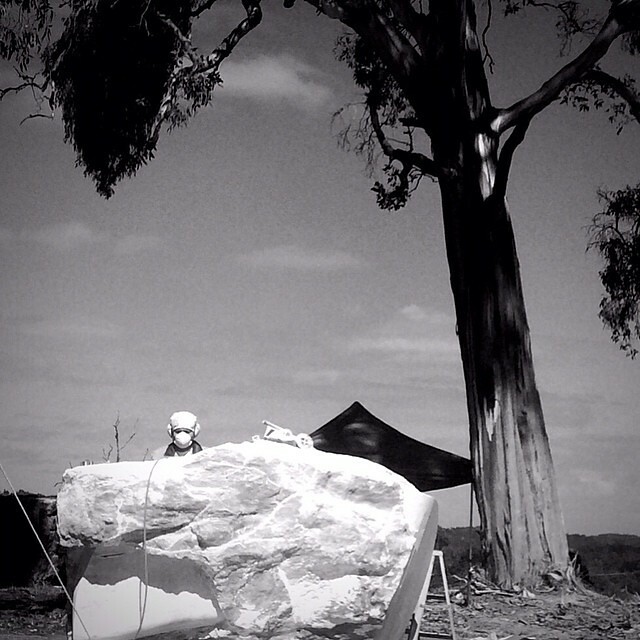 We took the opportunity to visit the Adelaide Sculpture Symposium where several sculptors from around the world worked atop a hill, sending out plumes of dust and creating a workspace of stone, chisels and saws amongst the gum leaves as they worked on their creations. The atmosphere was charged with all the energy of a studio workshop, and seeing the artists working like this underneath a blue sky in the middle of the Adelaide Hills was quite memorable. And as for personal time out…. I’m still learning. Most of the time, I’m either looking after my family or working for clients and on my own projects. I love it but I have discovered how important it is to make sure that I spend time just “being”. Making sure that I rest and recharge my creativity helps me to produce better work and be more motivated every day. Taking time out to lose myself in a book helps. I’ve been reading The Shadow Year by Hanna Richelle, On Writing by Stephen King and The Rise: Creativity , the Gift of Failure and the Search for Mastery by Sarah Lewis. Another simple indulgence is listening to a podcast when walking the dog; I’ve been listening to So you want to be a writer?. Still, I know that I need to start planning bigger “me time” experiences. After taking a few weeks out with my family earlier in the year, I’m inspired to start thinking bigger when it comes to relaxing! Do you find it difficult to “waste time” too? Have you found yourself reassessing goals and starting new projects in April? I’d love to hear what you’re doing. 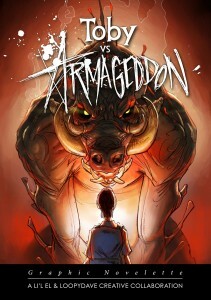 PS please show your support for local self-published artists and remember to order your copy of Toby vs Armageddon or get your free copy of the novella Wanderer! SupaNova will be held 12-13 April at Melbourne Showgrounds and you can find Loopy Dave and Li’l El at Stand 90 in the Fan Club Aisle .